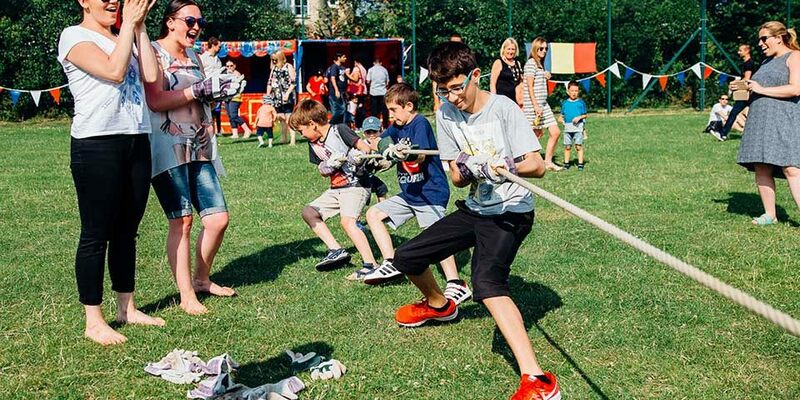 To create a fun and rewarding afternoon of family fun day activities, building on the success of the previous year’s event. 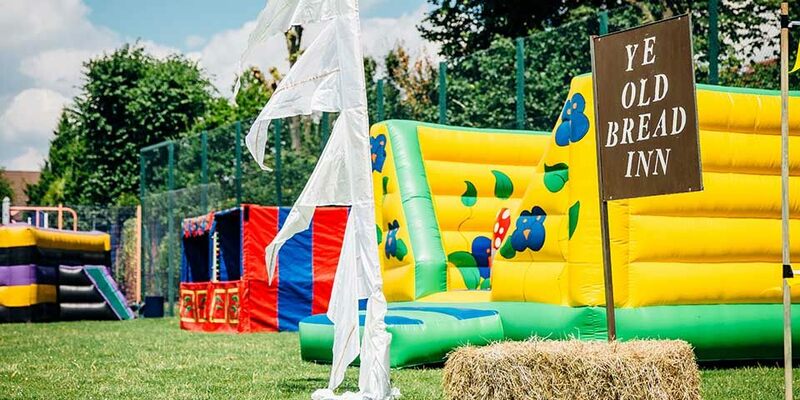 The Bread Factory asked MGN events for help designing and managing their annual family fun day to recognise and reward their 300 employees for their hard work over the last year. The MGN team had been tasked with the project the year previous, so this year had to go one better! 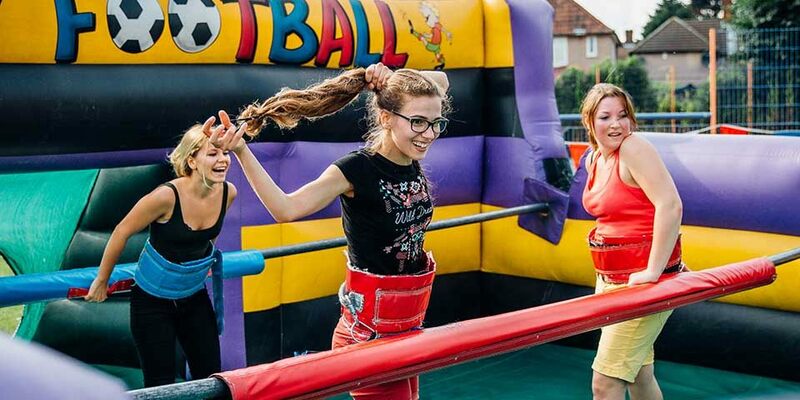 A Family fun day packed with great activities was constructed at a private school in North Hendon, Greater London. 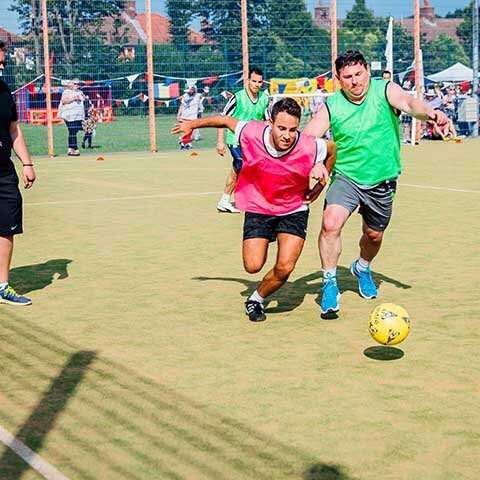 The family fun day programme consisted of a variety of fun activities including our fun school sports day, ski challenge and space hopper races as well as a large fully managed five-a-side football tournament (the group comprised of many keen footballers!). 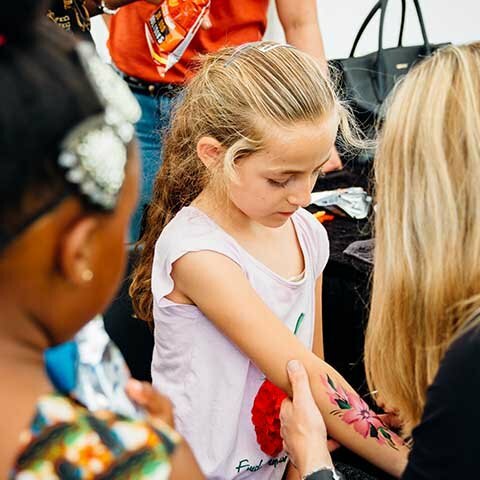 Family themed entertainment involved face painters and a bouncy castle for children to enjoy. We also provided an outdoor sound system with family friendly music for guests to enjoy inbetween the musical sets from their company live band. 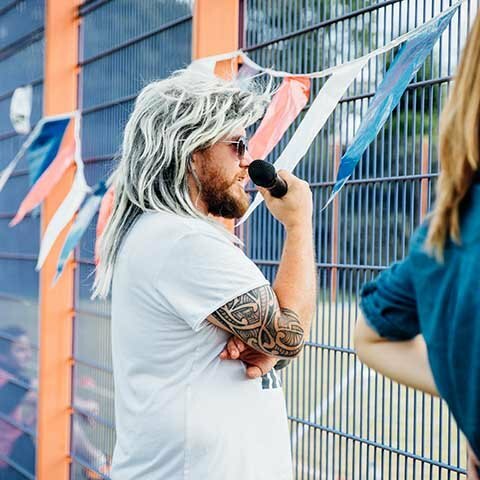 In order to encourage participation in the sports day activities our hilarious compere was on hand to announce when each activity started and to raise enthusiasm. Events assistants gave demonstrations of the activity to gain interest and show delegates how our fun activities worked. 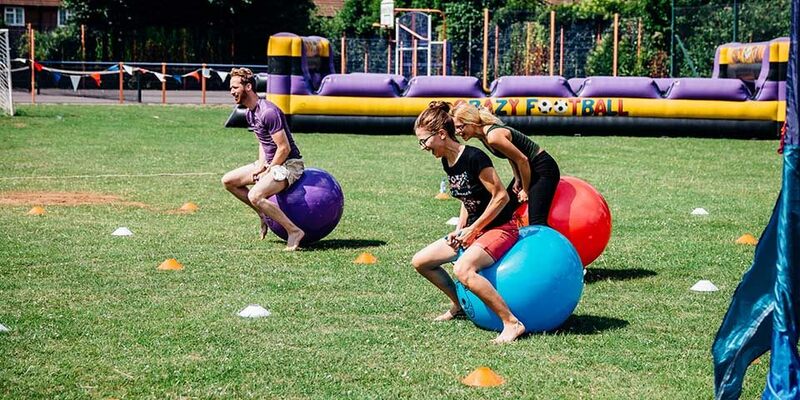 The running order for the family fun day had to be flexible to allow for bad weather and unexpected breaks due to short wet showers that were forecasted in the week leading up to the event. We provided a wet weather contingency, in the form of a large clear-span marquee, which was set up on the site to house the food and act as a bad weather shelter for guests during their family fun day. The 15m x 9m marquee was large enough to provide standing cover for guests in the event of rain showers. 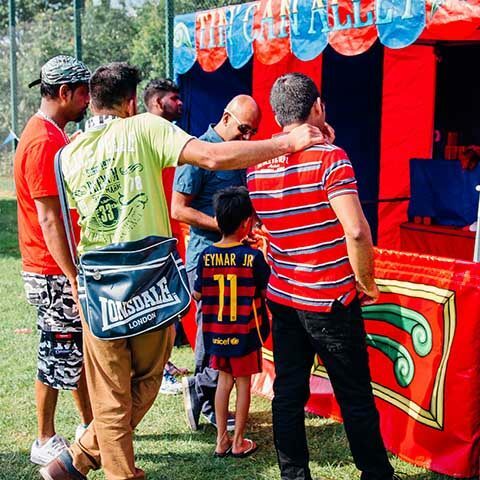 The rain did fall, on 4 short separate occasions during the afternoon, but because of the organisation and event planning, all guests had an enjoyable and rewarding family fun day and remained in good spirits!